With every new generation of GPUs comes more performance. With every new generation of MSI Twin Frozr we give you less noise and heat!. We've listened to all your requests and the new Twin Frozr V is smaller, features stronger fans, generates less noise, keeps your graphics card and its components cooler and matches perfectly with your MSI GAMING motherboard including some funky LED lightning. We've spent 18 months on the development of the Twin Frozr V, including field testing in gaming cafes to ensure the cards have the quality and stability to give you the FPS you need. This next generation UEFI BIOS is completely rebuilt and features a plethora of system builders' favorite options. From M-Flash for easy BIOS flashing to advanced data protection & system security, CLICK BIOS hands you the tools to fully protect and optimize the system. Reduction in moisture absorption helps prevent "Conductive Anodic Filament". 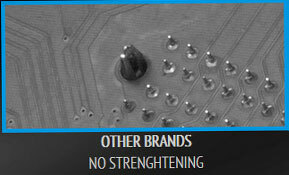 Untreated PCB's can have 10x higher failure rate. 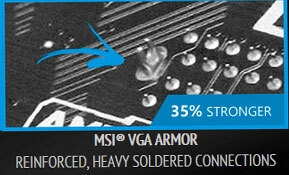 All MSI motherboards comply with strict American FCC regulations and reduce the impact of Electromagnetic Interference. 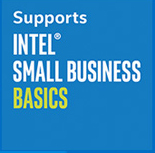 Intel® SBB is a unique, customizable solution that helps improve small businesses data security, maximizes employee productivity and boosts overall office computers' performance. A simple and intuitive interface which improves security and productivity - With USB blocker, screen sharing, file sharing, and chat. 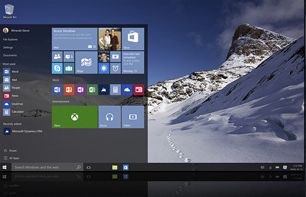 MSI is world's first motherboard manufacturer to receive official Microsoft Windows 10 WHQL certification. 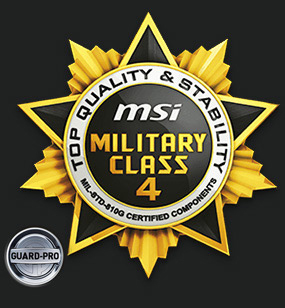 With a true testament to compatibility and performance, the MSI R&D team ensures a worry-free experience when using the latest version of Microsoft Windows on any MSI PRO Series motherboard. With Audio Boost we're delivering the highest sound quality through the use of premium quality audio components. That way, you can enjoy breathtaking, crystal clear sound and music through 6-channel Audio or high impedance headphones and truly dominate the game. Pros: Paired this with a GTX 1060 and i3 6100 for a windows 7 build. Benchmarks confirm other reviewers statements that performance is not impaired in any way. 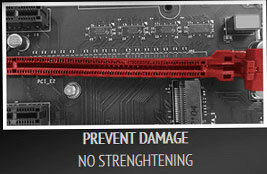 Replaces an old MSI motherboard that ran for close to 9 years without failure. Board appears to be well made with quality components. Cons: Not really a con but chipset will limit ram to 2133, unless you purchase a Z170 motherboard at double the cost you will not be able to use XMP profiles. Other Thoughts: For someone looking for a budget Kaby Lake build, this would probably work excellent. It does have PCI-E support for aftermarket video cards, as well as support for enough RAM to do so (that's what I was building - a basic gaming rig with a GTX 1060). It does have limitations that might be in the way for some - limited video out options, limited on-board fan support, and isn't overclockable. But for the basics, hard to bet the price. Cons: Dead on arrival - had to RMA to get replacement. Lets hope the new one is better! Other Thoughts: I got this MB for my budget gaming PC and I haven't had a single issue of any kind with it. It's easy to update, and I had no problems installing it in the case. Seems like a pretty solid budget Micro ATX MB, and I have no issue recommending it. I'll update this review if anything changes. Other Thoughts: Have this in a gaming build running an i5-6600, GTX1070, and 16GB of RAM. Performs flawlessly. Have two Samsung SSDs, a 2TB hard drive, and DVD drive. This board is maxed out but handles great. No need for a higher end board if you don't plan on using M.2. You are limited on expansion, but for most people this is not an issue. Pros: Anything present on this board (e.g. port or slot) performs as well as that same port or slot on a higher-end board. My article describing this board on Tom's Hardware should be published soon. Inexpensive. Cons: This board is sparse. A lot of things simply aren't there, like an M.2 slot, and there's only a DVI video connector. If you load the software, you can get 7.1 audio out of it, but you have to use both front and rear audio jacks so your wiring will likely be messy. Limited tweaking and no overclocking. Only two RAM slots. Other Thoughts: If you are building a PC on a tight budget, buying this board will allow you to put more money into other parts like the graphics card, without losing performance. You may regret some loss of expandability (e.g. only 2 RAM slots), but even a basic board like this offers everything most people truly need. Pros: Very inexpensive for the types of processors you can use! 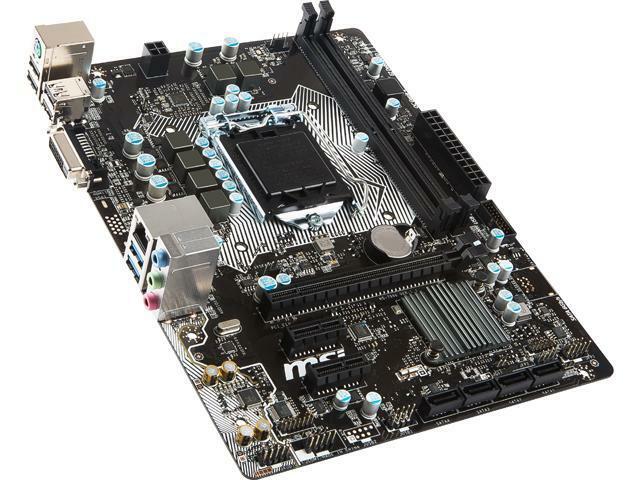 It is a great no-frills basic motherboard that does what it advertises. From what I've read on the other reviews, just be sure to take care when installing and PLEASE be careful with adjusting some of the low-level bios settings. I had serious issues with some of those. Otherwise, the board runs fine. Cons: - Some of the bios settings adjustments can actually make your system inoperable, so make sure you know what you're doing when tinkering with bios settings. I had that issue and had to take out the motherboard battery to reset the MB to factory default so the computer would post. Other Thoughts: I would recommend this product for those on a tight budget who really want to get their hands on the economical Intel skylake line of processors. 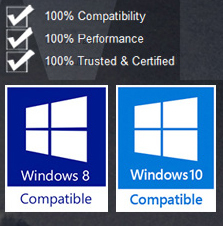 It can run them just fine and you also get the latest PCI support for the fastest GPUs.